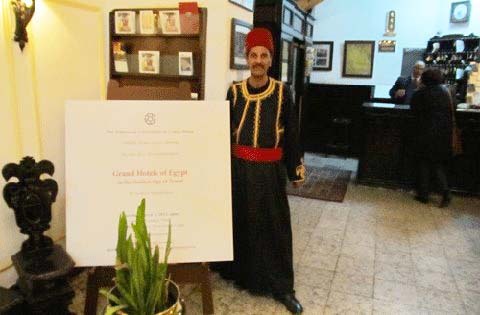 This coming weekend marks five years since the first post on this site (which was about four months before the publication of Grand Hotels of Egypt). To mark the occasion I’d like to say a big thank you to everybody that regularly checks in here, and particularly to all those people who’ve left comments or have emailed me directly. 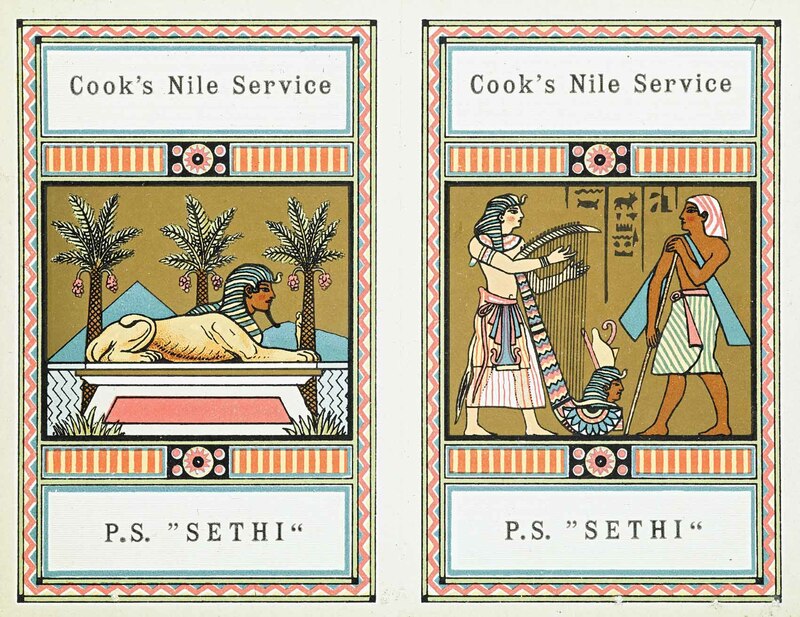 Every time my enthusiasm has flagged and the posts have dropped off, there’s been a fascinating or gratifying communication from someone out there and I’ve been inspired to dig up more material to share. It really is the interaction that keeps this site going. 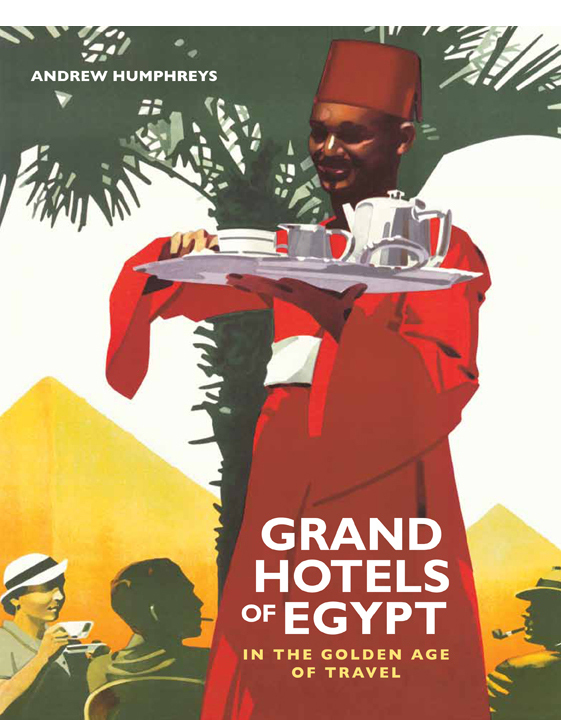 I’ve got a big kick out of hearing from the distant relatives of some of the hoteliers and other characters that I write about in my books and from people whose ancestors travelled to Egypt way back when, especially those who’ve shared diaries and photos with me. 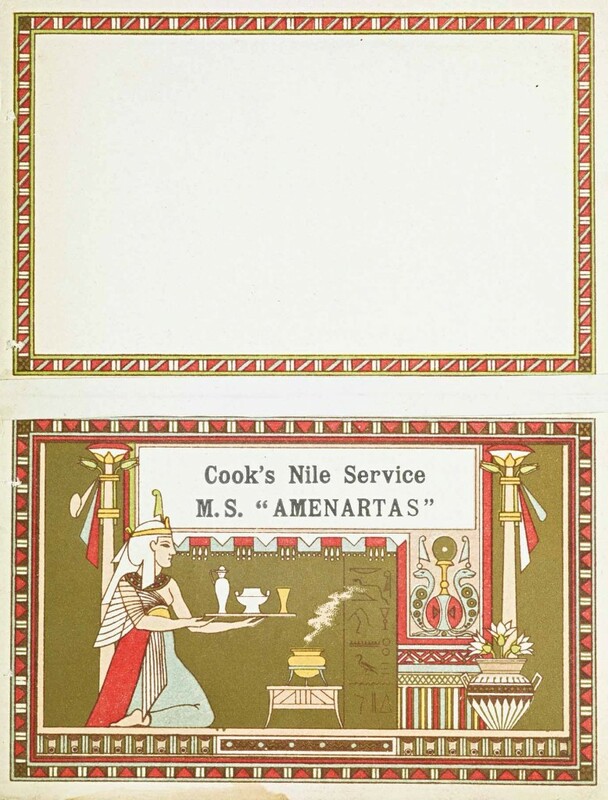 I’ve also loved fielding some of the intriguing requests for information that regularly come my way – helping to identify a hotel in Alexandria hotel for an exhibition about Paul Klee in Germany or show what a letterhead from Shepheard’s would have looked like back in 1914 for a dramatisation of one of HP Lovecraft’s weird tales. 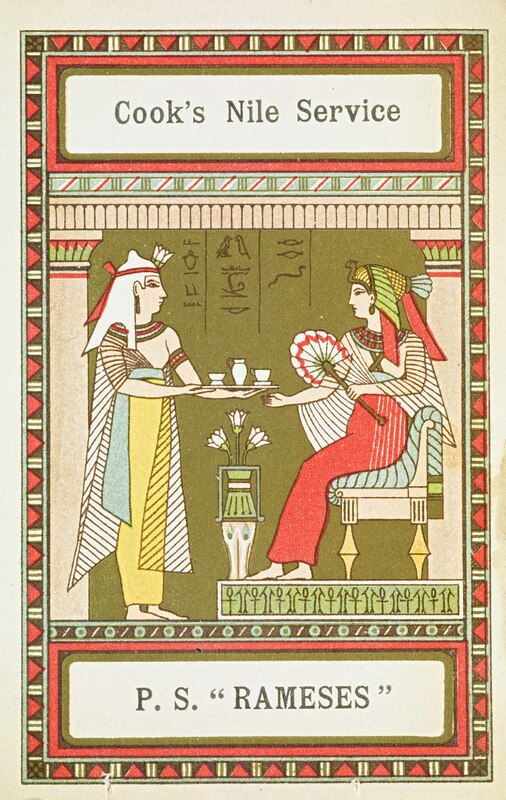 The query about tessellated pentagonal tiling at the Cataract flummoxed me, though. 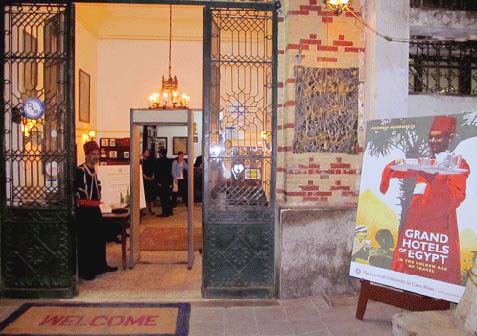 Next year I’ll also be loaning some of the bits and pieces I own relating to Egypt’s old hotels to a couple of museum exhibitions here in the UK, one on an amateur Egyptologist who travelled to Egypt in 1886/7 and 1890/1 and the other devoted to Winston Churchill in the Middle East. More on those nearer the time. 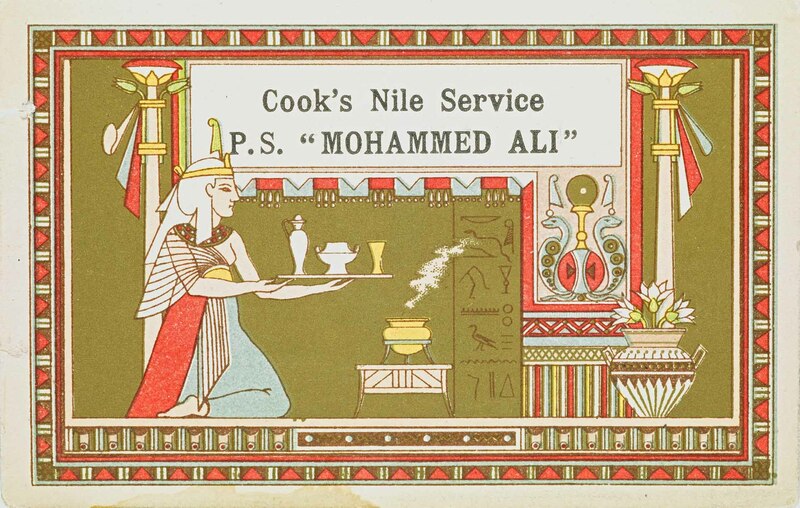 The item above is not a Christmas card or greetings card, although it was handed out to all who boarded a Cook & Son Nile steamer. 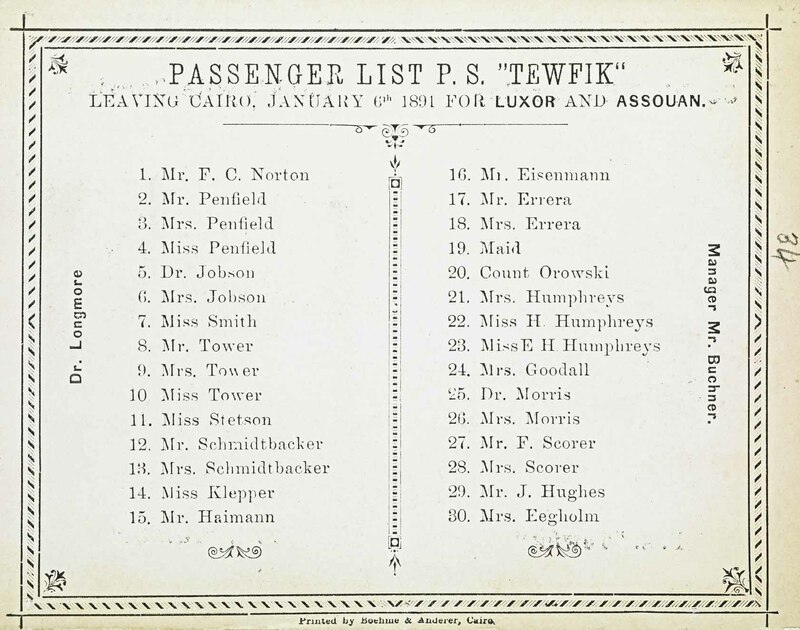 It is a passenger list – flip it over and the small card lists out all your fellow passengers. It was important to know who they were, after all, with the standard cruise taking three weeks, everybody would be spending a lot of time in each other’s company. 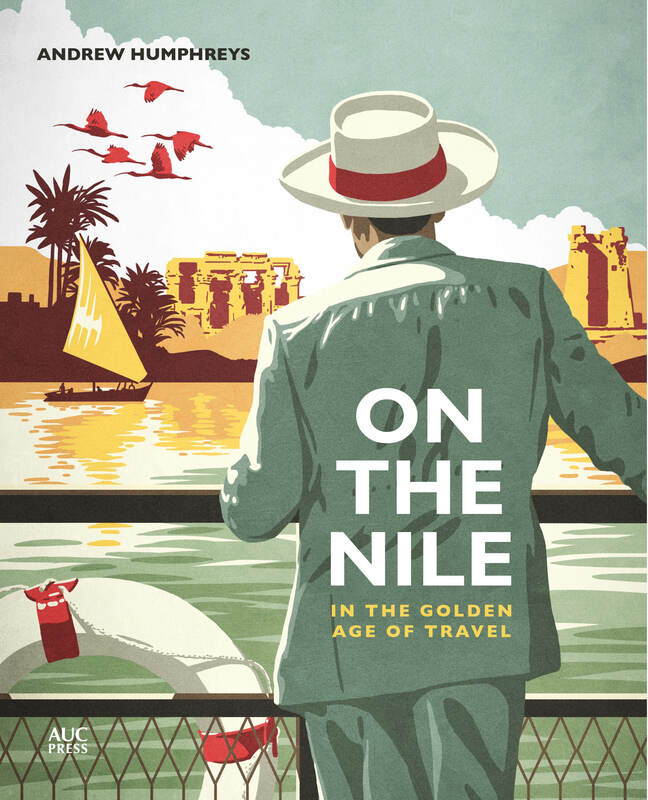 Chances are some of the names would be familiar – a trip up the Nile was not cheap and the steamers were largely the preserve of the aristocratic and moneyed classes. Cook & Son employed a variety of slightly different designs for their passenger lists. These lists relate to the boats I wrote about in the last post, so they would have been issued some time in the 1890s or first decade of the 20th century. 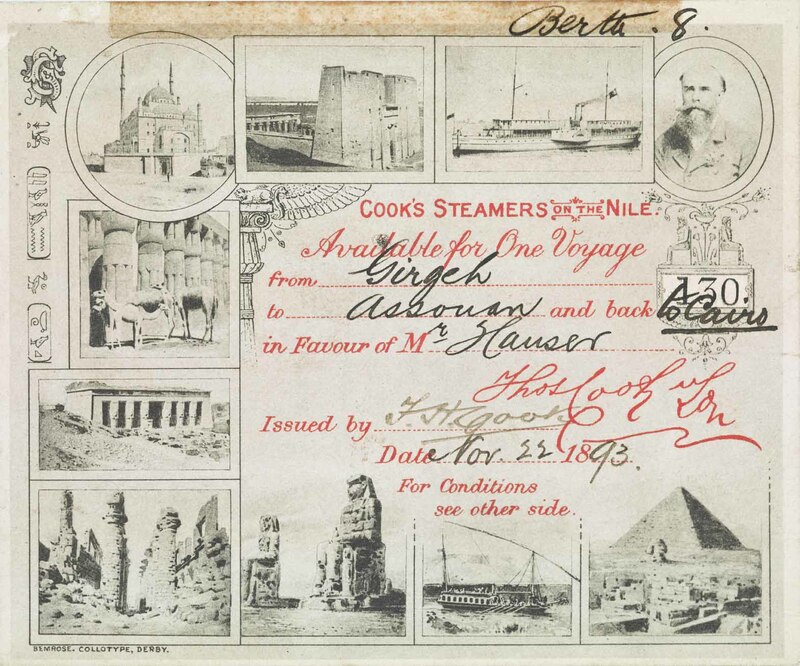 From the same period comes the excellent ticket below, issued by the Cairo office of Cook & Son on 22 November 1893 and good for a journey from Girgeh south to Aswan and back down to Cairo. 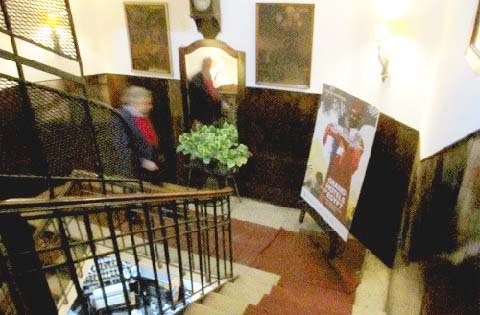 It is personally signed and authorised by John Mason Cook, son of Thomas and head of the company since his father passed away the previous year. All these items come from the Thomas Cook archive in Peterborough.